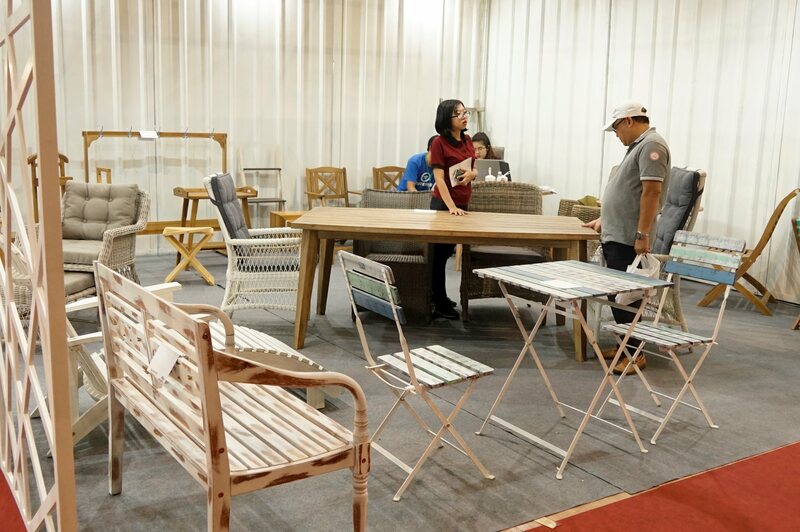 VietNamNet Bridge - The Vietnamese furniture market is a promising industry, estimated to have value of over $4 billion, according to the Handicraft and Wood Industry Association of HCM City (Hawa). The stable growth rate of 8 percent of the wooden furniture market is attractive to manufacturers. Market revenue was $3.2 billion in 2017 and is expected to reach $4 billion this year. Architect Nguyen Hoang Manh from Mia Design said that Vietnamese customers, especially young people, are becoming choosier about living space and furnishings and have specific tastes. They not only want products with high quality and beautiful design, but also green products. A report from Savills shows the growing tendency of millenials, or those born between 1980 and 1998, moving to urban areas, leading to increasingly high demand for furnishings. However, the customers, accounting for 35 percent of the population, are more fastidious than their parents and grandparents about furniture purchases. A survey by Nielsen also found that they, like the majority of consumers, are striving “towards a life with originality”. Hawa’s chair Nguyen Quoc Khanh said the home market now is the playing field for manufacturers with high creativity. Nguyen Chien Thang, CEO of Scancia Pacific, said he hired a famous designer with hopes to create something original for his newly built house. However, though the fee was $5,000, the design discouraged him and his family members. Nguyen Hoang An, an IT engineer, complained on his Facebook page that he still could not find a reliable designer after many months of looking for one. Vietnamese customers, especially young people, are becoming choosier about living space and furnishings and have specific tastes. They not only want products with high quality and beautiful design, but also green products. “I want a new style for my interior space. I don’t want to live in a house which resembles other ones in the city. But it is so difficult to find a stylist with strong personality,” he said. “The problem is that they lack ideas,” he said. Analysts say that An, like other high income earners, are willing to spend big money on high quality products. Instead of durable and solid products, they now attach much more importance to convenience and originality. A survey found that the group of customers account for 15 percent of total customers, but their purchasing power accounts for 30-40 percent. Ly Quy Trung, CEO of AKA Furniture, talking about the tastes of customers, said furnishings now must bear the personal hallmark of users, especially younger users. Aware of the new trend in the market, many firms have shifted from selling separate products to selling ‘living spaces’.